The Art of Nursing - Accessible Healthcare Institute™ LLC. Rachel Danford. All Rights Reserved.Accessible Healthcare Institute™ LLC. Rachel Danford. All Rights Reserved. Since the origins of the nursing profession with Florence Nightingale, nursing has been described as an art. Despite this common description of the foundation of nursing as an art, the conceptual meaning of the art of nursing has remained without clarity. Although the art of nursing wasn’t clearly defined, in the 1990’s nursing was defined as an art in the Cumulative Index to Nursing & Allied Health Literature (CINAHL). This lead Deborah Finfgeld-Connett to perform research to determine the meaning of the art of nursing. According to Finfgeld-Connett (2008), the art of nursing is grounded upon both empirical and metaphysical knowledge. The foundation of empirical knowledge is research methodologies, or the science of nursing. Nurses use science to guide nursing interventions with evidence-based practice to improve patient outcomes. Metaphysical knowledge is obtained through time and unique experiences as a nurse in the nursing profession. Intuition is sometimes considered a nurse’s sixth sense, incorporating an awareness of things that are not always clearly seen, heard or felt. The foundation of nursing began as an art cultivated in ideals of nurturing and compassion. With time and gaining knowledge, nursing has transformed itself into a science, as well. Nursing theory has aided the evolvement of nursing into a science by using nursing frameworks to guide nursing research that can increase knowledge and therefore be utilized to improve patient’s health holistically. According to Chinn and Kramer, nursing knowledge evolved from Florence Nightingale’s empowerment of the nursing profession’s significance in fundamental values and knowledge to improve patient outcomes to present day patterns of emancipatory knowing, ethics and morals, personal knowing, aesthetics knowing and empirics, or the science of nursing (2011). Embracing patterns of knowing implores the nursing professional to use these characteristics and understanding in the assessment, diagnosis, planning, implementation and evaluation into evidenced-based practice. In turn, the healthcare professional unites the innate art of nursing through compassion and nurture with the science of nursing by sharing gained knowledge with a systematic and scientific approach to treat the patient as a whole. The art of nursing blends the science of nursing with the philosophical holistic approach nurses implement to treat the patient as a whole, or the heart of nursing. The art of nursing transcends research data to also consider the patient’s biopsychosocial needs, spiritual needs, cultural preferences, and the patient’s individual health promotion and disease prevention values for their optimal health. Nursing practice is grounded in scientific evidence. However, without blending the art of nursing into patient care, nurses are unable to meet their ultimate goal as a holistic patient advocate. The art of nursing is an essential component to the nursing profession. The stressful work environment for nurses continues climb. Nurses frequently focus on nursing others and have a tendency to not nurse and nurture themselves. Nurses need innovative strategies to ensure they are taking care of themselves so they don’t succumb to the physical, mental, and emotional exhaustion of caring for everyone and everything else (Scala, 2014). Before we can give of ourselves to serve others, it is imperative to practice what we preach. Nurse’s Day occurs every year on May 6th. It is a national day to celebrate the services of nurses through the healthcare delivery system, and the strides nursing has accomplished as a change agent in improving public health. Caring for others is our passion, but sometimes we can experience compassion fatigue. Remember, the most important aspect of helping others is to ensure you are ready to take charge and lead others to their optimal health. Lead by example. 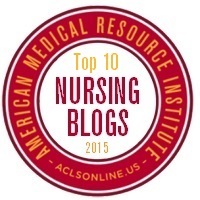 If you are experiencing compassion fatigue, implement the core concepts of the art of nursing. Search for strategies to rejuvenate your life with passion and purpose, with that holistic approach you as a nurse offer to others. Personal strategies could include basic steps that are often overlooked: sleep, nutrition, and participating in pleasurable activities, and perhaps an activity such as meditation or yoga. Professional strategies could include participating in conferences to boost your enthusiasm and remind you of the inner purpose you desire to fulfill as a nurse, such as with this year’s Nurse’s Week Virtual CEU Conference, The Art of Nursing 2.0 from May 5 – 8, 2015. As nurses, we pursue optimal goals to improve our patient’s lives and livelihoods. To successfully pursue our passion of service to others through healthcare delivery, let’s not forget to incorporate these philosophies into our own lives as well. The art of nursing is the heart of caring, and that means for you, too! Chinn, P. & Kramer, M. (2011). Integrated theory and knowledge development in nursing. St. Louis, Mo: Elsevier Mosby. Scala, E. (2014). Nursing from within: A fresh alternative to putting out fires and self-care workarounds. CreateSpace Independent Publishing Platform. Great discussion of what nursing brings to the table! Nursing values: altruism, autonomy, human dignity, integrity, and social justice. Nursing is an art, a science, and a profession. I love your post and how you begin with the origins of nursing, take us through the research of nursing science and end up at the art of nursing truly being the way we invite compassion into our nursing practice. Your article truly describes how the art of nursing transcends data and is the essential component to a successful nursing career. Thank you, Rachel! 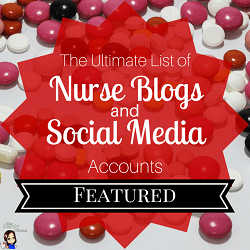 You are so spot on that the art of nursing transcends scientific data and understanding. But nonetheless, we all recognize an artful nurse. It takes presence and empathy, and self-awareness. Thanks for a well-researched post, Rachel! I feel that we create beauty at the bedside in our daily work. Thank you for this post to remind us about the art of nursing. Great tips for compassion fatigue. Another possibility is to seek professional counseling when self care activities are not enough to address this issue.